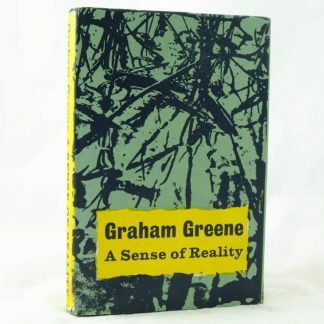 A first edition copy of one of Graham Greene’s early works in a very good condition. 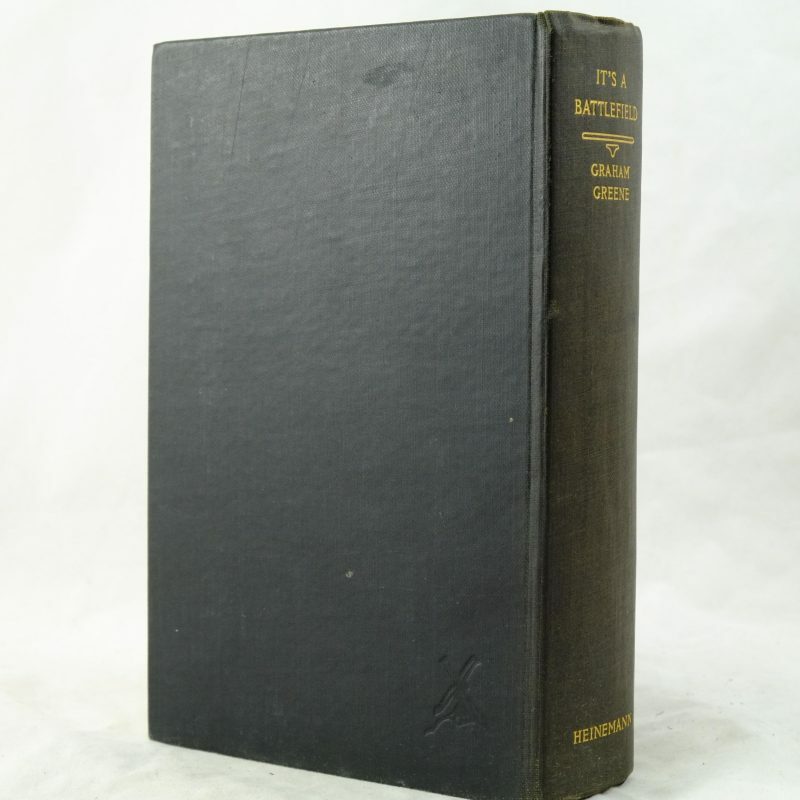 With no dust jacket. 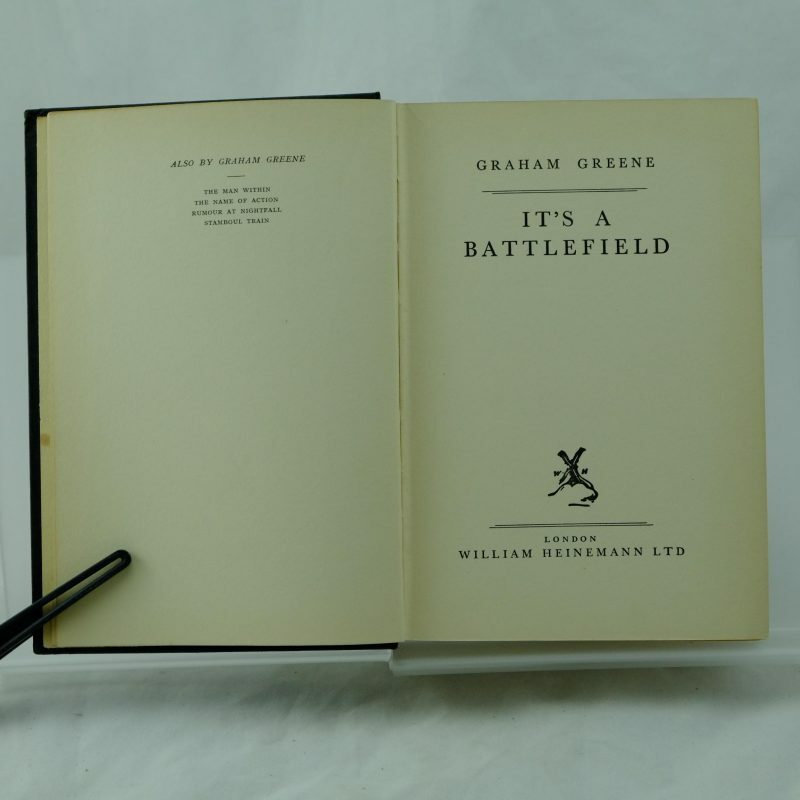 It’s a Battlefield explores London life between the two World Wars. 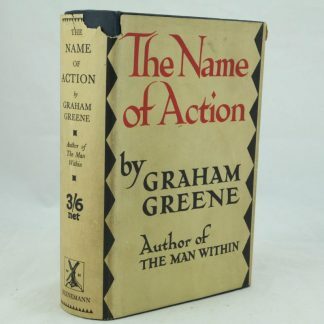 Original black cloth boards with gilt lettering on the spine. The spine is slightly lighter in colour. Very slight lean to the book. The covers have very light wear. 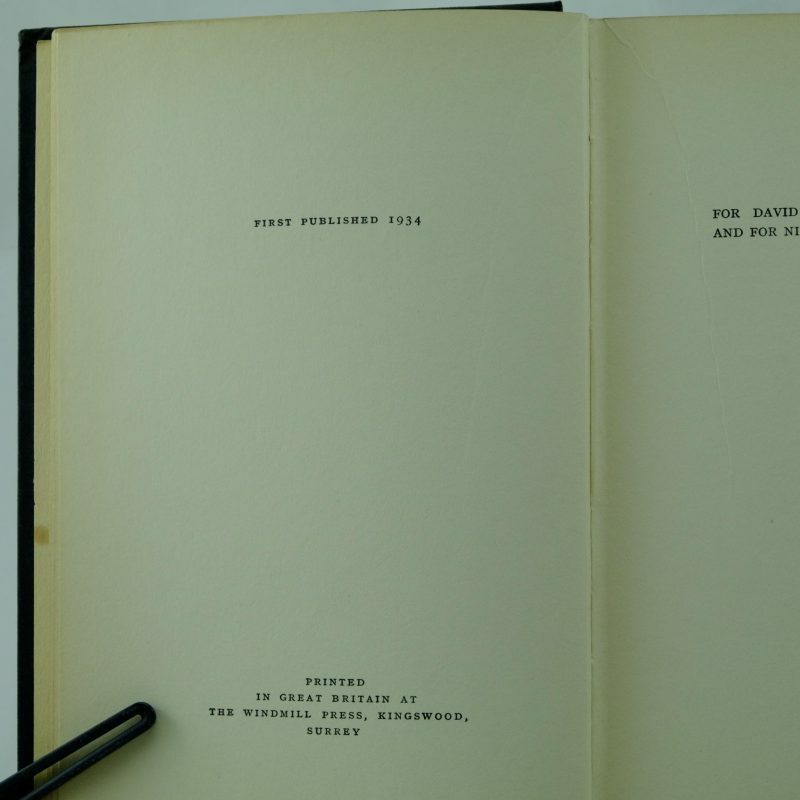 The contents of the book are very clean. Rubbed out pencil marks on the front free page. 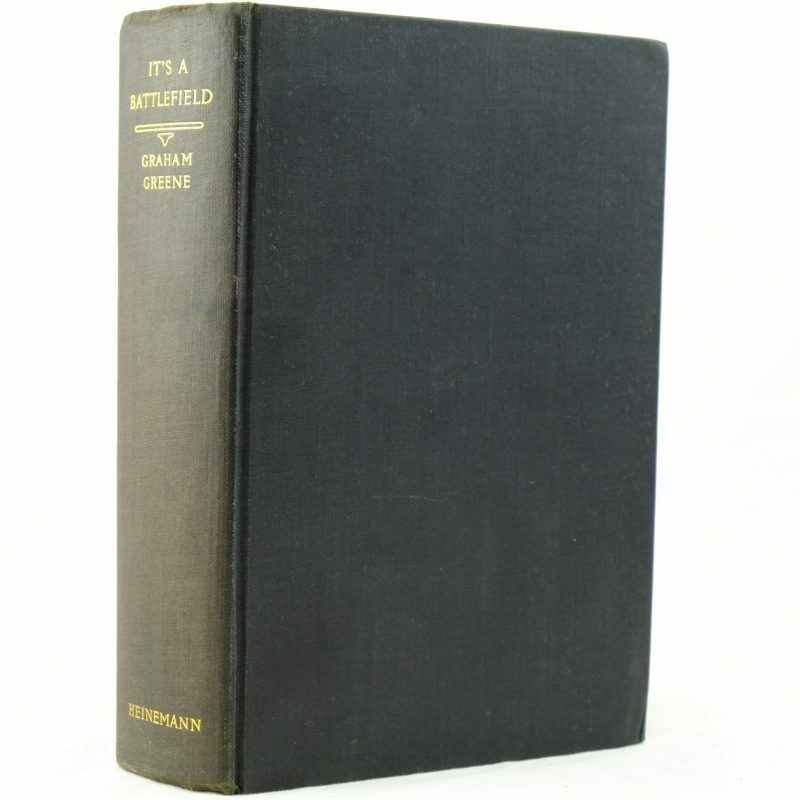 The book has no dust jacket. 8vo 275 printed pages. 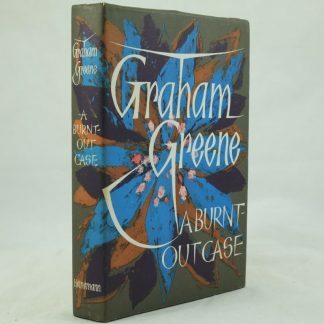 Browse other first edition books by Graham Greene.